Sardinia’s glorious Costa Smeralda and the beautiful La Maddalena archipelago were at their late spring best for the second coastal race of the Loro Piana Superyacht Regatta 2017. 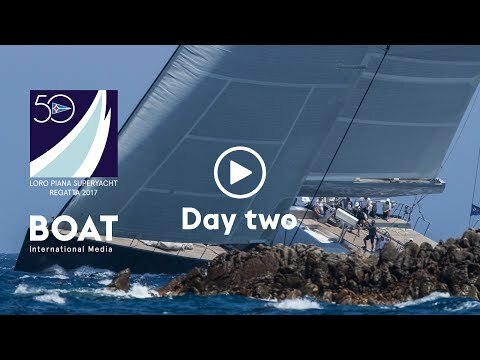 You can catch up on all the action from the event, which is organised by the Yacht Club Costa Smeralda (YCCS) and Boat International Media, with our highlights video below. 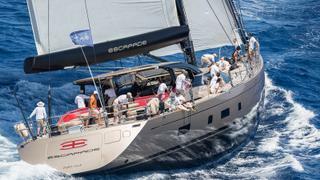 While the Dubois-designed 37.5 metre Escapade won the Superyacht class, the 24 metre Wally Nahita emerged victorious from a fiercely contested battle to win the ten boat Wally class by 49 seconds after just over three hours of racing. After an error in classification saw Escapade rescored to second for race day one, the crew let their performance speak for them and won by 1 min and 1 sec over Ribelle. The two teams share the same three points tally after two races. 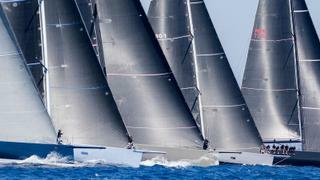 Nahita, which won the first Wally regatta of the season in Palma earlier this month, now tops the division overall. While the core of the Escapade crew are New Zealand yachting industry professionals who were involved when the Dubois sloop was built in 2014 at Fitzroy Yachts, the Nahita team, under Croatia’s Olympic sailing heroes Šime Fantela and Igor Marenic, are a tight knit group of sailing friends. Mainly from Zadar, the group have represented their country at Olympic level in the 49er and the Star, as well as the 470 in which Fantelic and Marenic delivered their nation’s first Olympic gold medal in Rio de Janeiro last year. 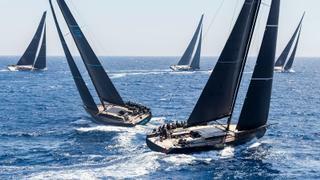 Day two’s southerly breeze produced sparkling racing conditions for the seven Superyachts and ten Wally class yachts which were sent on the same classic 29 nautical mile passage anti-clockwise around La Maddalena island. With the breeze around 13-14 knots, a short two mile upwind leg was followed by a short two sail reach before spinnakers were set for the long, fast downwind run in the strengthening breeze outside of the islands of Caprera and La Maddalena. The transition around the northwest of the island was, as ever, a telling test of sail selection, timing and crew work in the brisk breeze. Throughout the day the fleets’ exciting duels raged. In the battle of the giants Magic Carpet 3 and Open Season led the charge with the blue hulled Magic Carpet 3 prevailing, crossing the finish just 17 seconds ahead of Open Season. 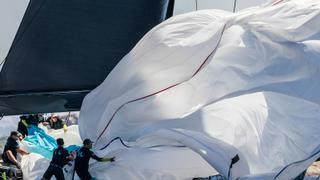 However, both dropped on corrected time to sixth and eighth behind the five smaller Wally yachts. Similarly the spectacular duel between two-time regatta winner Saudade and Pier Luigi Loro Piana’s My Song was only decided on the last stretch of the long beat back, the Italian crew finally getting ahead at the entrance of the Passo delle Bisce. With Bouwe Bekking calling tactics, Saudade crossed the line 49 seconds after My Song to take third on corrected time. A great day of racing was finished with the hotly contested yacht cocktail competition – from which Y3K took home first place – before owners and crew enjoyed a free night to rest and relax before the battle begins again on day three. 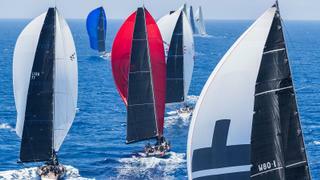 To see more of the racing action visit the Boat International Media Bank. Keep up with all the action via the Boat International website or follow the event on social media using #loropianasyr on Instagram, Twitter and Facebook.